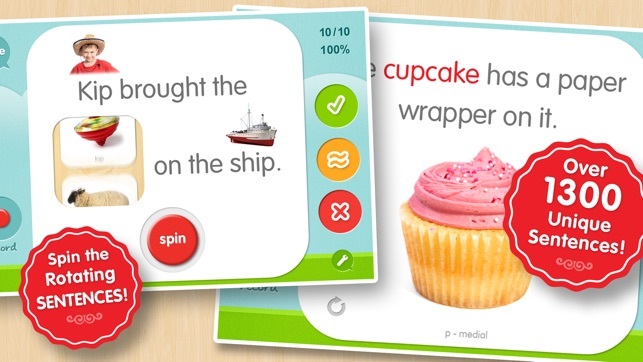 Download the best articulation app on the App Store and learn how to pronounce and practice the consonantal sounds in the English language with 6 fantastic and engaging articulation activities! 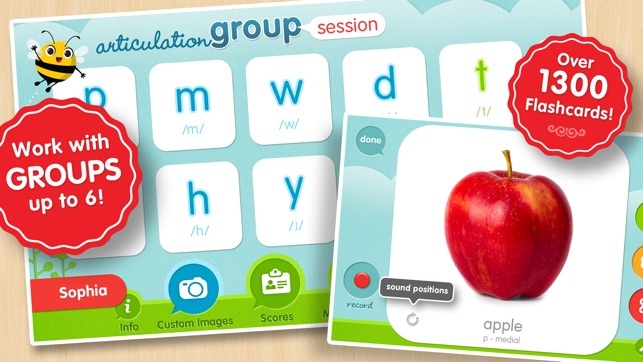 Created by a certified Speech-Language Pathologist, Articulation Station is a full featured articulation application to help children as well as adults learn to speak and pronounce their sounds more clearly. 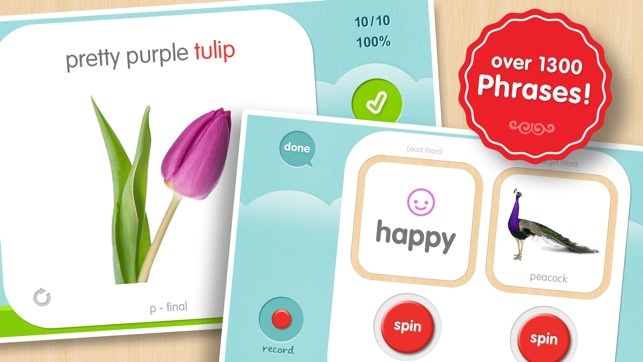 Beautiful high quality images represent target words to be practiced in fun-filled activities with the assistance of a Speech-Language Pathologist, teacher or parent. 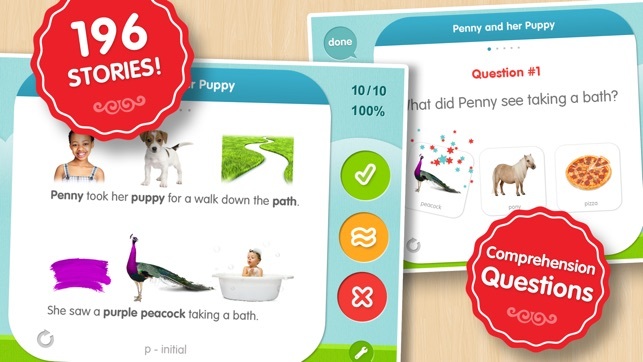 Articulation Station is the only articulation application offering practice at the WORD, PHRASE, SENTENCE and STORY levels all in one app! These activities are so fun your kids will love practicing their sounds and forget they are actually "working" on their articulation. Each of the 22 sound programs target sounds in the initial, medial and final positions of words, sentences and stories. The majority of sounds (p,b,m,d,n,t,k,g,f,v,ch,j,z,sh,th) have 60 target words each. The l,r and s sound programs target blends as well. Additionally the r sound program has ALL the vocalic r's! - ADD YOUR OWN IMAGES! Beautiful, easy to interpret, real life images with audio reinforcement. Exciting matching game that will keep everyone entertained! Fixed sentence loaded with target sounds and paired with rotating target words. A new sentence for every target word with an average of three target sounds per sentence. Short, silly rhymes for each sound position with multiple target words, pictures and comprehension questions. position with multiple target words and comprehension questions. We hope you enjoy using Articulation Station. Please take a quick moment to rate the app and share your experience with others. Your input is much appreciated! - Optimized for iOS 12! This is by far my favorite articulation app out there. From a functionality standpoint, the app is intuitive, has very few bugs, colorful and engaging. From a SLP standpoint, the app is thorough, has great targets and great data collection! I purchased all of the sounds because my caseload is heavy on articulation and phonology so now I’m always prepared for all sounds from the word level to stories. And I love the ability to track the data across sessions. I no longer have to sit there with a binder open writing plus or minus for their productions. We practice each target 10 times, I have them self-reflect on how they think thy did and then I tell them what I heard. My students also love to try to get the silly phrases (“ugly slide?! Hahahaha”) on the rotating function. They also get a kick out of recording their trials and listening back. The only thing that would make it better: maybe a button to indicate when we gave a prompt! Overall though, this app is amazing and the best App Store purchase I have made. 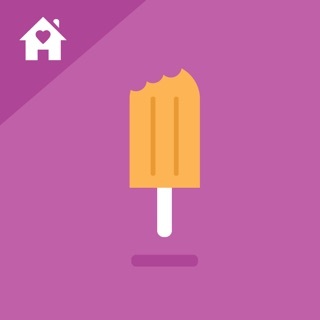 Best App We Have Ever Used for Our Two Children w/ Apraxia & Autism! This App is incredible! We were looking around for top rated apps and accidentally stumbled onto this one. Our son has barely spoken any intelligible words, he's going on four, and this app helped engage him immediately. I yelled for my husband to see what was happening before my eyes, because it was amazing to hear him talk. Our toddler is apart of many speech therapy programs here in Utah and all of the therapists were astonished with what he had learned from this app. We took his iPad to all three sessions last week just so they could potentially use it as a tool themselves, since we got some immediate, great results. We also had to get a review of our son's diagnosis, and they were unsure of Apraxia. I mean, how can an app spark that much language? I cannot say enough great things about this app and some great thought went into it. Many thanks to the creators! WOW, thank you so much for sharing your experience using the app! We LOVED hearing about your little ones and their progress while using it. The app is great but it's parents like you who make the real difference. We hope your sons continue to progress and wish you all the best! How can i buy games for myself and not spend $8 to help my kid? Her school actually introduced her to the app during her speech therapy session. 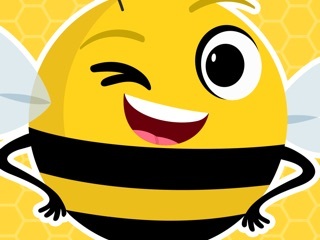 As a developer myself, I am familiar with the lead-developers of this app through the app community so I didn’t hesitate to buy this app when my kid started speech. The key feature I like is documentation. It is not just an app they mess around with. It allows me to track progress and share that progress with the teacher at school. 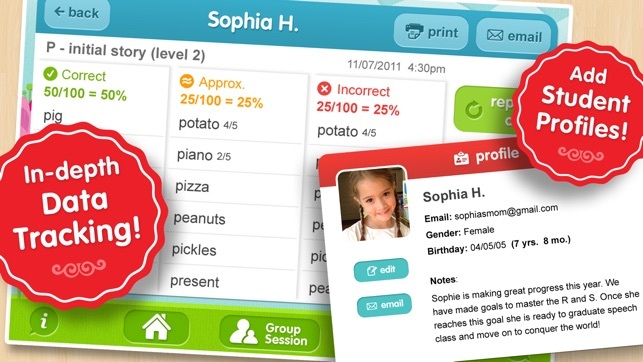 If your kids’ speech therapist isn’t using this app(or the full-paid version) how are they communicating progress/challenges to you? Insist your school get this, then you download the free one and buy the packages you need.